Redwire have developed a personal, flexible approach to serve you through creating a dynamic, reliable and secure environment. Our services provide all you need to ensure the uptime, integrity and effective operation for your data centre hosting and effective management and monitoring of your IT assets. Where to locate your mission critical equipment is a key decision. Redwire offers a range of colocation solutions: from entire data centre halls and private cages to quarter rack options each tailored to your specific needs. If you’re looking for a location to establish a stack replication hub with open plan offices for your engineers to work from; an energising media space with the high bandwidth to serve your clients; are in need of an additional room for computing infrastructure with room to grow; a disaster recovery location that can be relied on; or simply somewhere to kick start your new business from, Redwire is here to help. 45U IT rack, zoned in to four discrete compartments, each providing customers with separate doors and security locks, dual power feed to power bars with outlet allocation for each zone. 45U IT rack, zoned in to two discrete compartments, each providing customers with separate doors and security locks and dual power feeds to supply dual power bars in each zone. A fully secured 45U IT rack with dual power feeds to two full height monitored power bars. Two or more 45U IT racks within the data centre each with dual power feeds to two full height monitored power bars, interconnection between adjacent racks ducts. A group of 45U IT racks within the data centre each with dual power feeds to two full height monitored power bars, enclosed in a purpose built cage with additional secured access. Specific walled data centre demise configured to customer specification, with independent CRAC units and power distribution to racks. Access is via a secured door to demise. All racks are supplied with power bar monitoring that provides each customer with a detailed profile of real power consumption throughout the day. 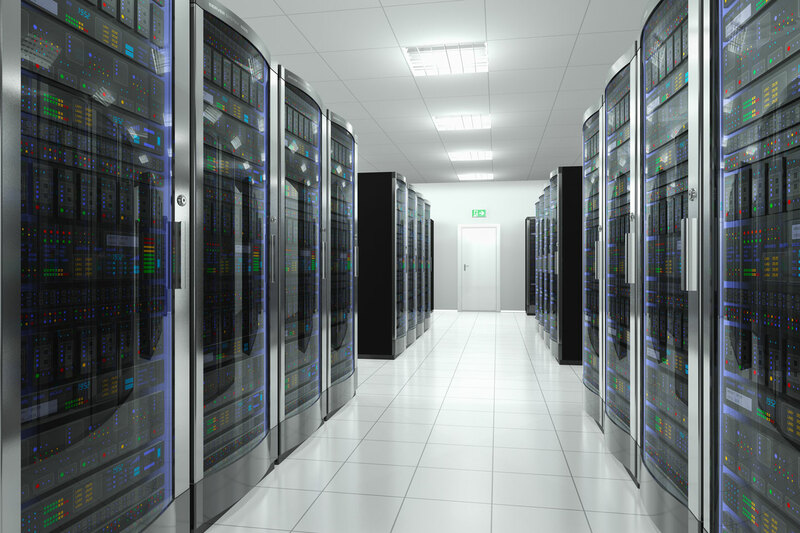 Our hosting technology is serviced by Tier 3 architecture providing dual active power feeds. Our infrastructure offers a minimum of N+1 for UPS, Generation, and Cooling with N+N on power distribution. With a 5 MVA power mains feed our purpose built data centre is designed to support over 800 racks with 3000 Kw of IT load. The data centre is protected with VESDA fire detection and gas suppression throughout, and actively monitored through building management systems at all times. Security and access is fully specified to meet ISO 27001 standards. Access control systems operate throughout the building and CCTV cameras are located on all entry and exit doors and in key strategic areas. They are monitored 24/7 by trained staff. Access for staff, customers and contractors is limited to the areas they need to be in to carry out their activities. All doors have battery backup units to ensure security at all times. Within customer-specific locations options for enhanced security are available. Through our business partner we are able to provide services ranging from basic right through to advanced management. This includes servers and network monitoring, capacity data collection and application monitoring. Managed services critical devices ensure maximum integrity in the form of virus protection, patch management and code upgrade for network equipment. Offsite backup ensures data recovery either locally or to a designated DR site. Managed industry applications include Microsoft Exchange, SharePoint and WEB solutions such as Apache – we can support many others as required. Each customer can access key information gathered through monitoring through a discrete, personalised portal. High capacity, high availability access. Day one capacity exceeds 2Gbps protected across two Tier 1 providers. We utilise 10Gbps fibre wave and backup circuits, and primary and backup circuits are provided across different supplier networks to ensure maximum availability. Customers can subscribe to both fixed and burst capacity. Redwire Data Centre is RIPE and has an IP V4 and V6 address allocation. IP addresses are available on request. Availability is enhanced through a scalable architecture that underpins the network deployment with dual paths employed all the way up to the customer IT configuration. And we’ve catered for your network growth too. From day one the initial core infrastructure can support 40 times the initial capacity and it can be scaled considerably beyond this. We put your business at the heart of everything we do – tailoring our services to meet your needs. Our Concierge option takes this commitment to the next level. With a dedicated point of contact available to you 24/7, you can quickly access the technical support your business needs, whenever it needs it. Help is always at hand.